This lap sized Double Wedding Ring quilt is made with consistent four patch corners and anchor posts. The balance of the arc shape is made from a coordinated set of scraps. The white on white print of the centre and melon pieces features tiny butterflies. 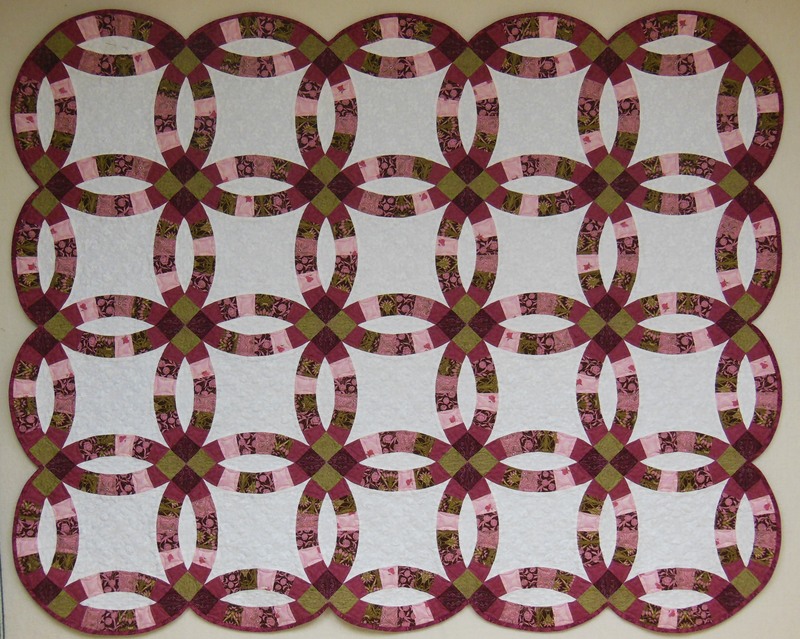 The quilting design is Forget Me Not double wedding ring set from Donna Klienke of One Song Needle Arts. 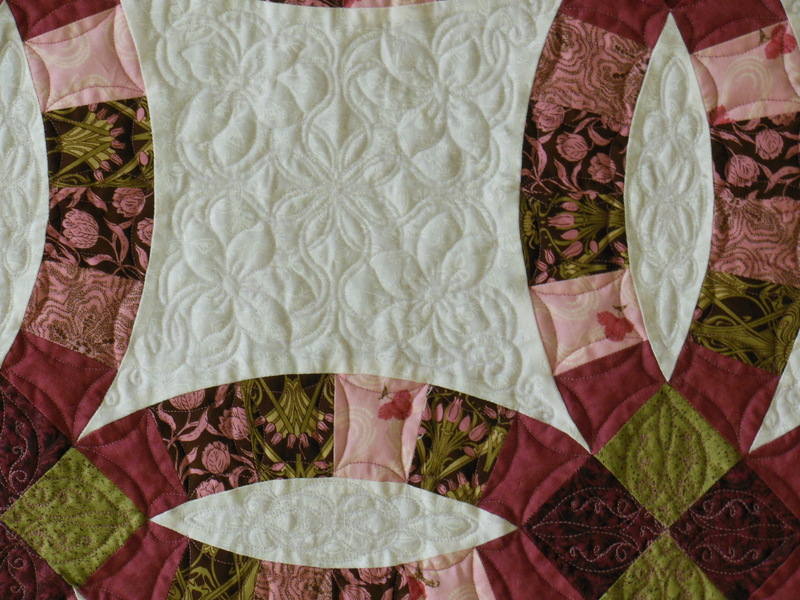 The arcs are quilted with continuous curves created with a point to point method. Very time consuming, but I really like the result. The thread is a cotton covered poly on top and a rose coloured Superior Bottom Line in the bobbin. The finished quilt will go into my quilt gift stash. Someone will fall in love with it someday! 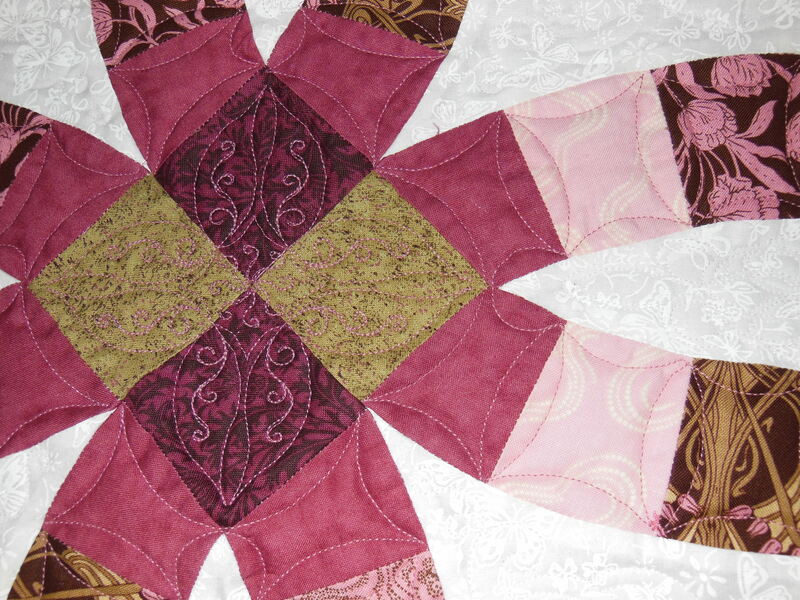 This entry was posted in Completed Quilt Project and tagged Double Wedding Ring quilt, Lap Quilt. Bookmark the permalink. Wow, Peggy! Your quilting is exquisite! I think it is awesome. This is on my to do list. I even boughtthe Accucut die for it.